Yes! I am back here on my blog again. On 29th Sept, my personal email account was badly hacked by The South African Hijacker. Since my blog is also linked to this account, I could not access and manager my own website too. Though I reported to Google the very same day, nothing much they could do then. I was terribly upset and frustrated. All my files were lost and I felt like naked from top to bottom knowing someone out there were peeping at my accounts and at my blog. I had been blogging since 2007, writing almost everyday to share my experiences to the world. All of a sudden, the popular blog of mine just disappeared from my hand. My heart was in pain and my mind was disorientated then. Thanks God! I had some few great friends and readers, like Maram and Wan who constantly wrote to give me support and encouragement. When my gmail account was hacked, spam mails were sent to all my contacts. The intention was to cheat the innocent and the ignorant one. 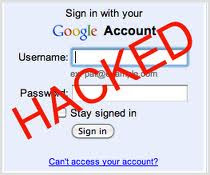 Immediately I registered another special email account to inform my friends about the hacking. How are you faring? I'm optimistic this email reaches you well. I'm so sorry for this emergency and urgency. I'm presently in Spain for a Project but I want you to be aware of my present predicament here because I have thought it expedient for me to confide this in you and I will be glad to have it confidential between us.. Everything was fine from the day I got here until I was attacked on my way back to my hotel last night. Though I wasn't hurt, I'm physically ok and fine but I lost my money, bank cards, mobile phone and my bag in the course of this attack. I have immediately contacted my bank in other to block my cards and also made a report at the nearest police station. But I'm urgently in need of money to complete my major aim of being here and to balance my bills till my departure next weekend. Can you please lend me a sum of 2550euros [approximately $3500 us dollars] or any amount you can afford to lend out? I will refund you even with interest upon my arrival next weekend. Kindly let me know if you would be able to help me out with the money or any amount you can afford, I can then forward you the details require for a wire transfer via the western union money transfer service. I don't yet have a local phone (still gathering my bearings and such), kindly contact me back via my email. Looking forward to read from you soon. This was the exact words sent. Sound silly and stupid. Though the hackers had the brain to manipulate the system but they were not smart enough to outwit my clever friends. I am glad not one got carry away by them. For anything to happen, there ought to have a reason. Because of the hacking, today I know I have many friends who are truly my friends. Most of them called and phoned me to check on my well being because they were worried and had concern for me. At the same time, I took leave for the past two weeks off on blogging. Allowing my mind to soul search for the extra ideas and thought to write. Yes! I am ready to offer more laughter and smiles to all my supportive readers. To The Google Account - Support... Thank you for restoring my account and letting me to continue posting on Wisdom of Life. Welcome back from leave! Good to read things from you again! The people with bad intentions are getting braver, more creative, and greater in population. We hope not to be in their path now n in the future. Everything is a Lesson Mr.Robert Foo..Keep changing the passwords frequently..Don't get upset.Be Happy as ur back to blogging..He can steal ur blog but not ur Talent..! Your encouragement makes life worth living. Is so nice to read all these comments again. You rest assure many good stuffs and laughter are going to be posted here. So please don't miss them. Thank you so much for all your support. It was GREAT to read your blog again. Thank GOD, our prayers ware answered. Please get ready to be amused by me again. U would see more of my naughtiness soon. Thank you for the nice comments. Thanks God! You readers brought me back. Thank you for being a keen reader here. I'm glad you're back. I always visit your blog to get new ideas and amazing stories from you. That is part and parcel in life and hope you have guts face it. By faith we met and by luck you visited my blog. I would make sure to be here as long as I live on earth. Thank you for reading wisdom of life. Good afternoon! I'm glad that u are back now...Happy to hear you again. Hope your doing good and more alive! With you around, I'm sure I will be more alive than ever. Thank you for reading my blog. That's the spirit , Sir. A big wide smile from here!